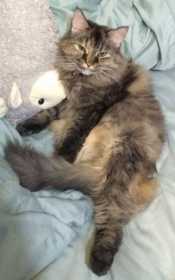 Nefertiti responds best to Titi (tee-tee) and was last seen on 1/12/2019 in Gilbert in the Greenfield Lakes subdivision. She was lost from Coolidge. She might be muddy and skittish.